Paradise Cave is 31.4 km in length, the width varies from 30 to 100m, the widest place is up to 150m; The height of the cave floor is about 60-80m. 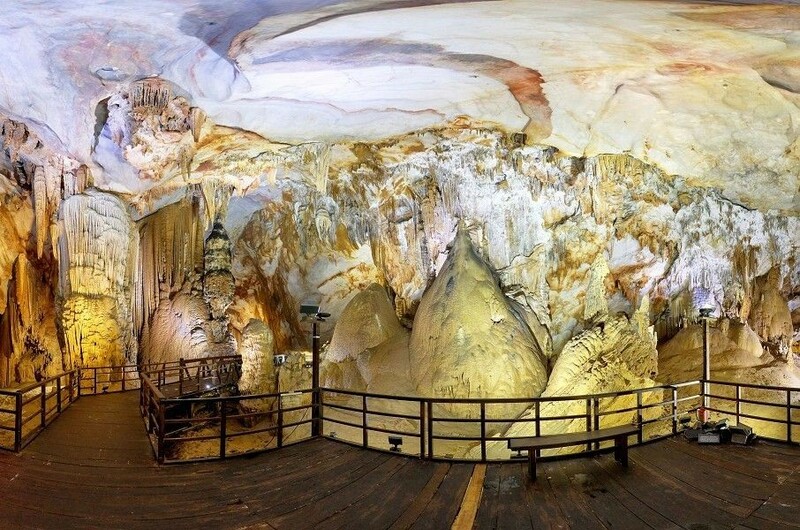 It is considered by the Royal Caves Association as one of the longest dry caves in Asia, one of the most spectacular caves in the world. The spectacular, magnificent and illusory structure of Paradise cave make discoverers thinking of a paradise. Paradise cave is called "royal palace in the ground", it is one of the most magnificent and magical wonders in the world. 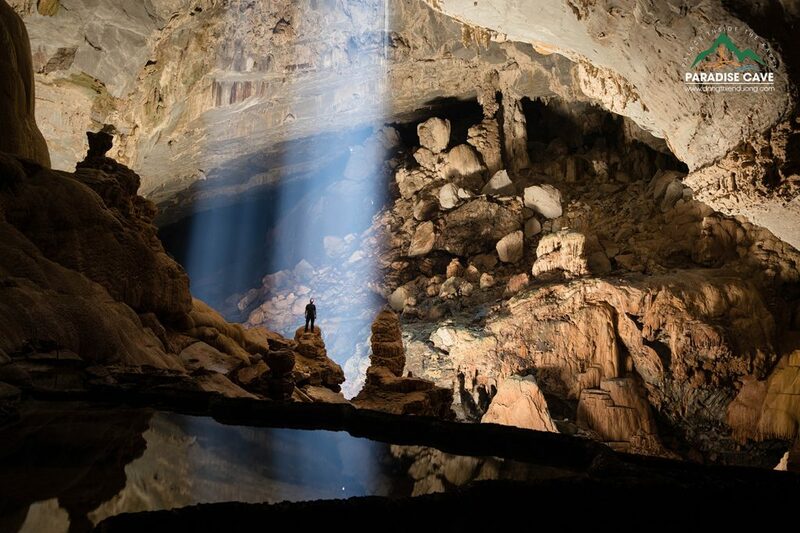 The cave lies hidden deep inside the World Natural Heritage, Phong Nha-Ke Bang National Park, in the ancient cattleyed terrain, dating back to about 350 to 400 million years ago. Paradise cave is located at Km16, near the edge of the West of Ho Chi Minh Road, about 4km in Son Trach commune, Bo Trach district, Quang Binh province. From the center of Dong Hoi city to the Thien Duong cave is about 75km to the northwest with the West branch of Ho Chi Minh Road. To visit the Paradise cave, the visitors will be transited by electrical van. On the side of the road is the original forest of Phong Nha Ke Bang, visitors will be walking under the foliage of cool forests. After arriving at the cave, the visitors climb up easily the Paradise Cave with 625 foot steps. The temperature at the Cave is from 20-22 degrees Celsius.